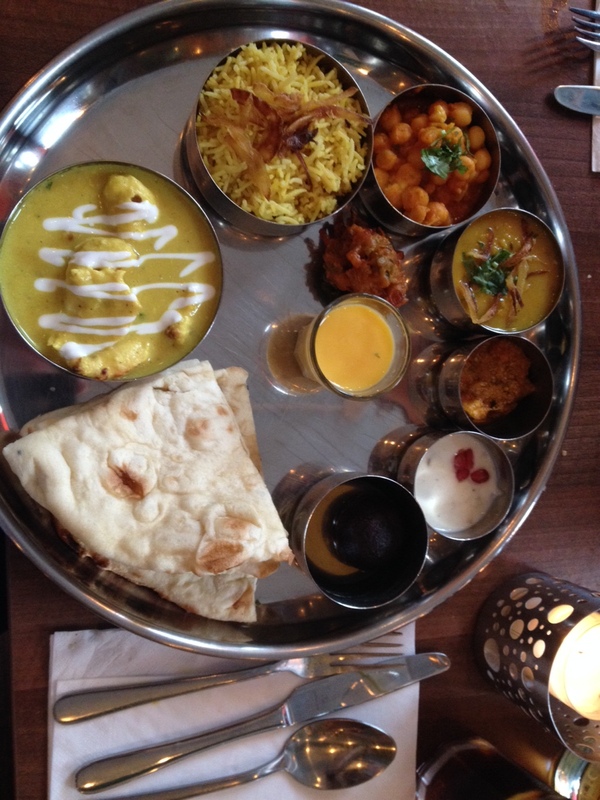 We really wanted to like Thali & Pickles. 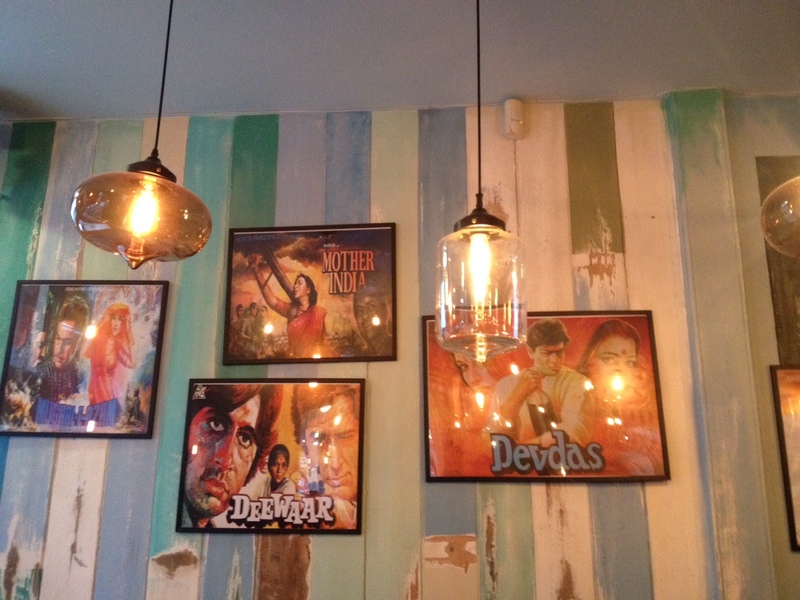 The brainchild of Indian Room down the road in Balham, and Indian Moments on Northcote Road, this is a more modern offering serving street food. Plus filling where Trinity Cafe used to be with something other than an estate agent is always a bonus. While the aforementioned excel in your traditional curry house fare, housed with cloth decked tables and piping music in the background (and we love it – some things should never change), the decor here is more up-to-date and reflective of the food trends we’ve seen in the past couple of years. 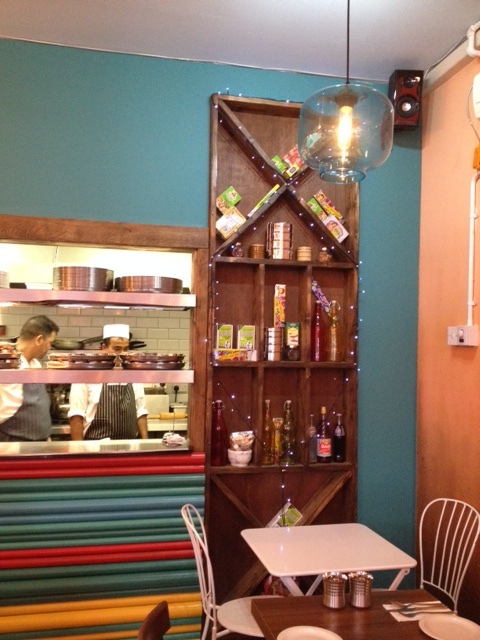 The menu is smaller than a typical Indian restaurant but that’s never a bad thing, of course. We opted to share the Pav Bhaji starter and each went for the thali, choosing the chicken and seafood variants. The starter at first glance just looked odd. 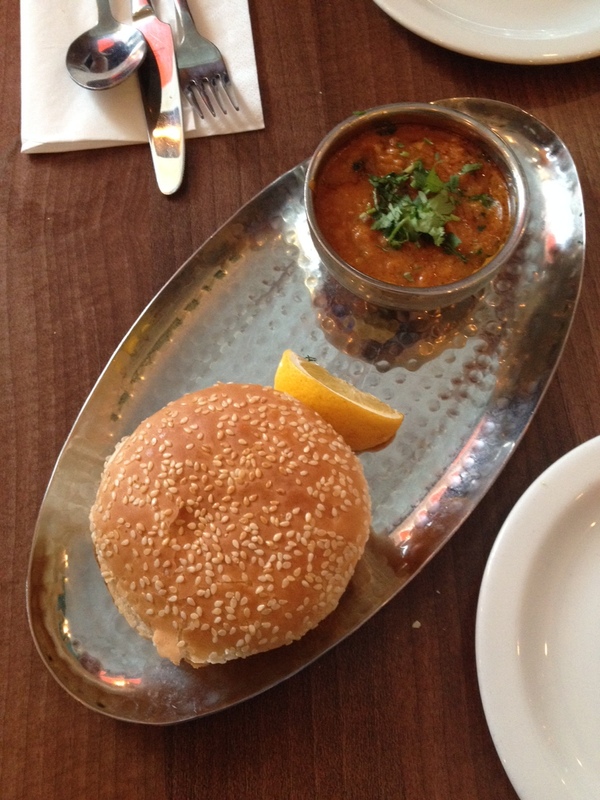 Upon further scrutiny we realised that a ‘pav bun’ is an Indian bread roll. A quick Google gave us the conclusion that not all pav buns are the same – some are sweet, some are quite dense and chewy in texture. Ours was slightly buttered with a sesame seed topping and to be honest, could have been plucked out of packet from Sainsbury’s. Unlike naans or chapatis, there was no real distinction. The vegetable bhaji mixture it came with hit the right notes with its earthy, spicy taste. 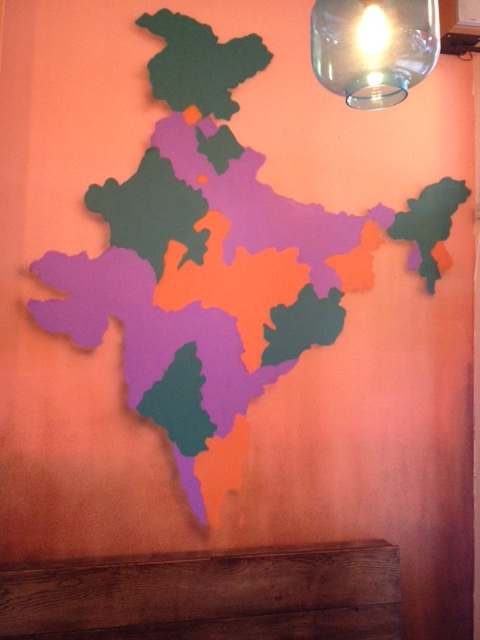 Perhaps we’re too westernised when it comes to our penchant for Indian food but we weren’t keen. Onto the thalis. When ordering the chicken we hadn’t banked on getting a korma. Big mistake. The other additions to the dish were dips, chickpeas, a traditional bhaji and a pudding (the dark coloured ball) which we didn’t try so can’t offer an opinion. The other flavours were very sweet with minimal spice so combined with a main that lacked power, the whole dish was a let down. The seafood one, however, was a lot tastier – plenty of depth and gave the whole dish the kick it needed. The other downer was the overall price. One starter, two thalis, one alcoholic drink and one soft drink came to around £45. Quite the dent in the pocket when it’s not an extravagant spending spree. If we’d gone all-out with three courses, booze, coffees after dinner then sure, we’d expect to a sizeable sum. This felt like a hit to our budget without the post dinner satisfaction. 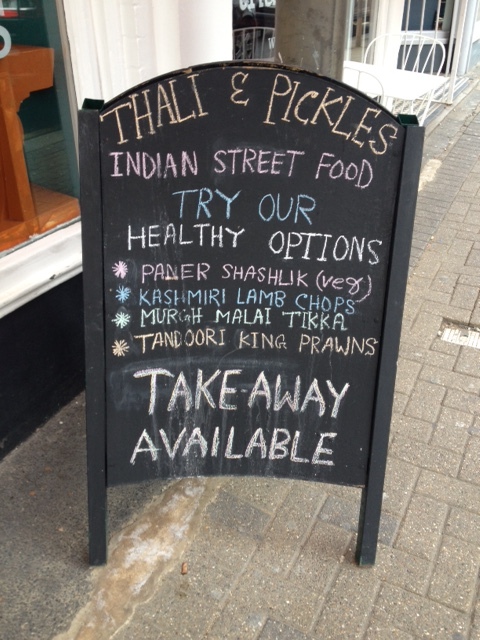 We’re not saying don’t go to Thali & Pickles. The rest of their menu looks great and if Indian Room is anything to go by, their traditional curries are probably spot on. For us though that isn’t street food. We could go down the road to their sister restaurant and get the same but at a cheaper price. Sadly an underwhelming experience. 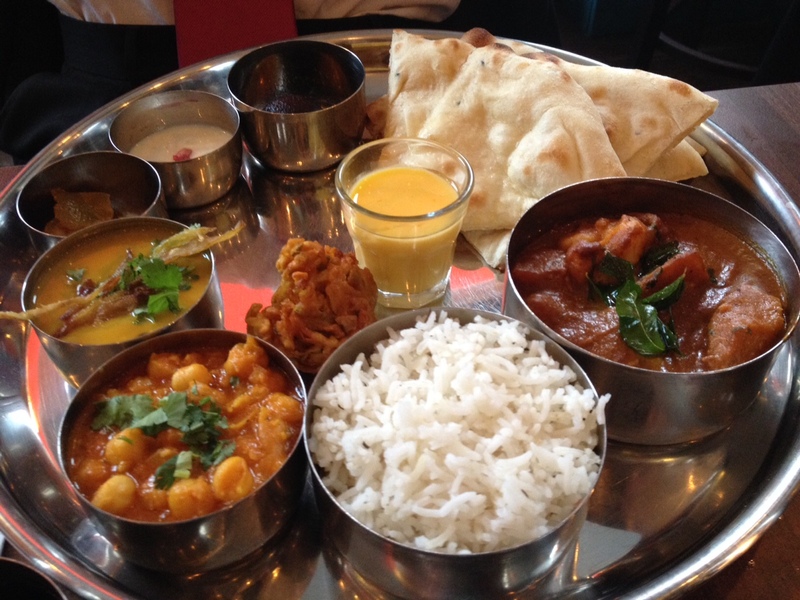 Thali & Pickles, 5-6 Balham Station Road, SW12 9SG.